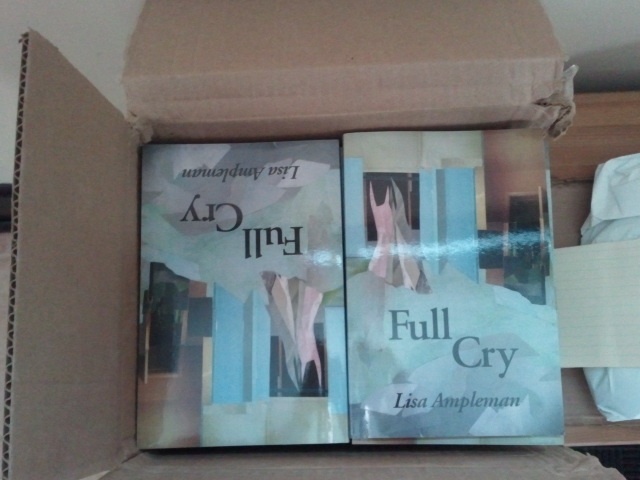 My copies of Full Cry have arrived! Thanks to Polly Opsahl from the National Federation of State Poetry Societies for sending them, and to Diane Kistner, of FutureCycle Press, for the amazing design work. It was a pleasure to work with Diane on the book; I can’t thank her enough. And I can’t wait to share the finished, physical product with you all sometime soon!